The city of Madison is turning 150 in 2019! 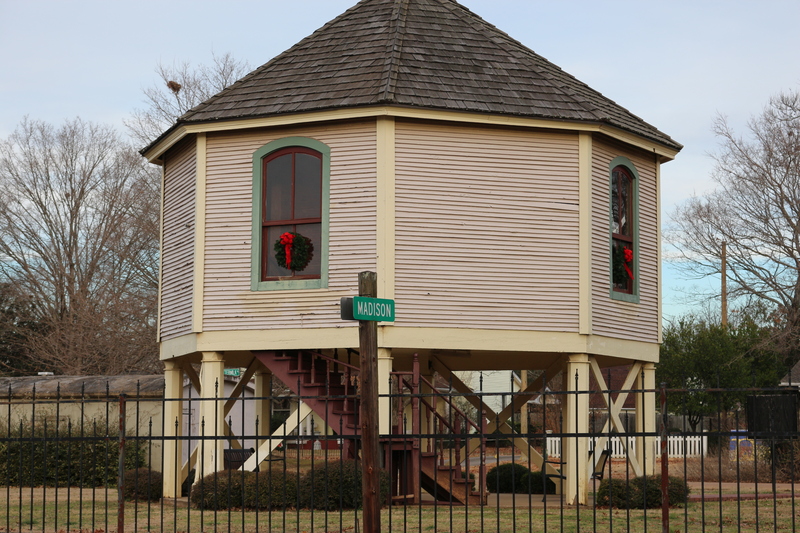 Their sesquicentennial celebrations have started and the city has events planned throughout the year! A fantastic day in historic downtown Madison can be had by visiting during the holidays. 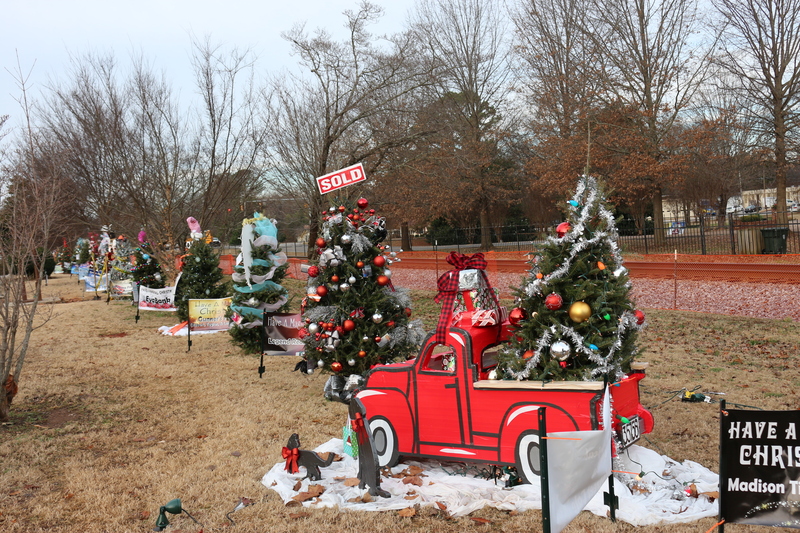 A line of beautiful Christmas trees, local shop windows decked out, tasty restaurants and treats, along with Christmas Card Lane from the Madison Arts Council. 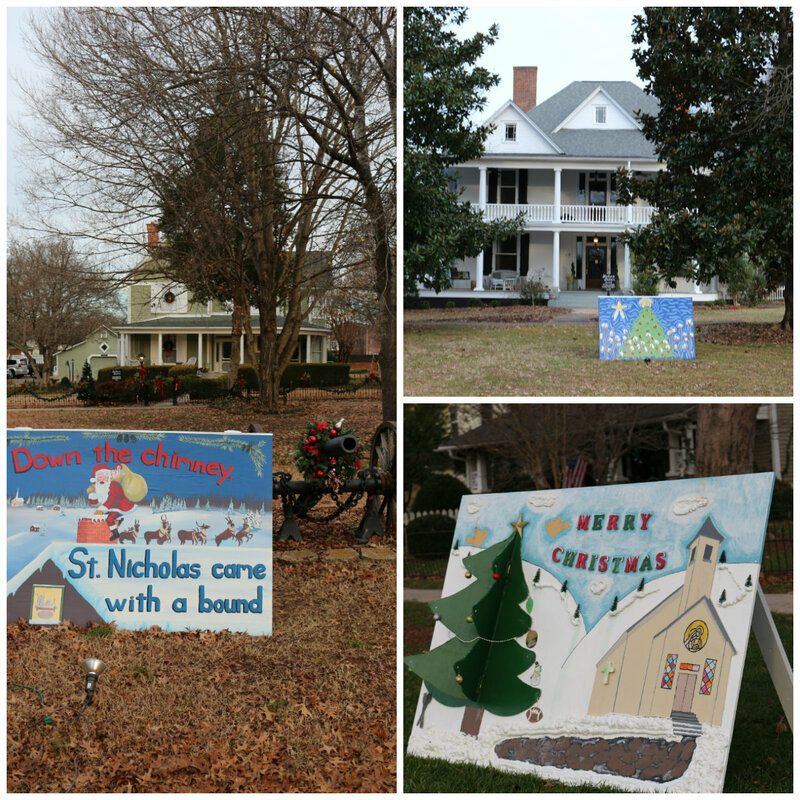 Christmas Card Lane is more that 15 larger than life Christmas Cards that are showcased in front of historic homes in downtown Madison along Front Street and Church Street. Each year the Madison Arts Council has local artists create new cards and reuses some of the ones from the year before. The cards have themes that range from whimsical to traditional. This works of art are beautiful to look at each year during the day or at night. 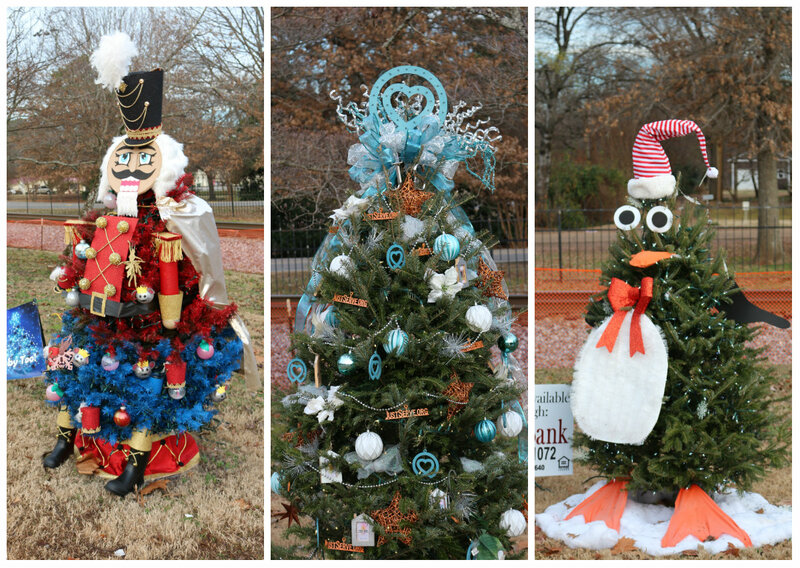 While you&apos;re downtown you should also take a look at some of the beautifully decorated trees. Different organizations and businesses sponsor a tree that light up Main street in Madison! There are some that will blow you away with their creativity! Each year the City of Madison and the Madison Parks and Recreation hold a contest to see which tree will win! You will also see some of the SPACES sculptures while downtown near the trees. We can&apos;t mention downtown Madison without mentioning Main Street Cafe. It&apos;s perfect for lunch and actually used to be the old jail for the city! They have fantastic southern food that is comforting. 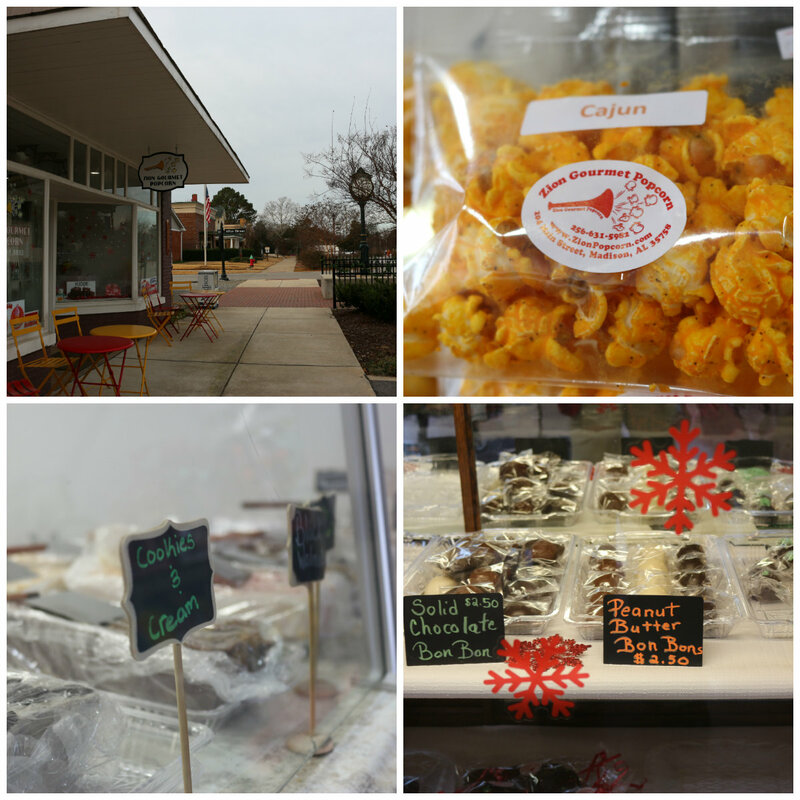 If you are looking for a sweet and/or salty snack, Zion&apos;s Gourmet Popcorn is just across the way from the cafe. It has delicious flavored popcorns, decadent fudge and chocolates along with ice cream! 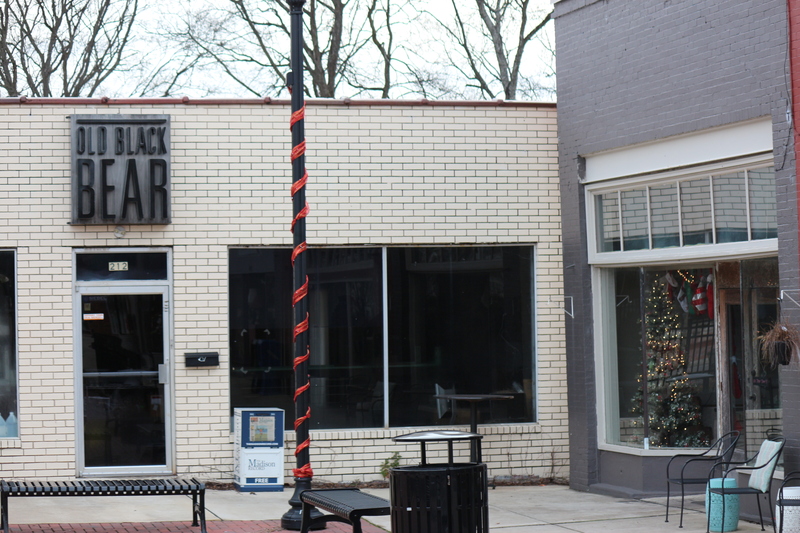 If you are looking for a great dinner or brunch, you have to try Old Black Bear. They are a brewing company that has a mix of amazing craft beer and cocktails. 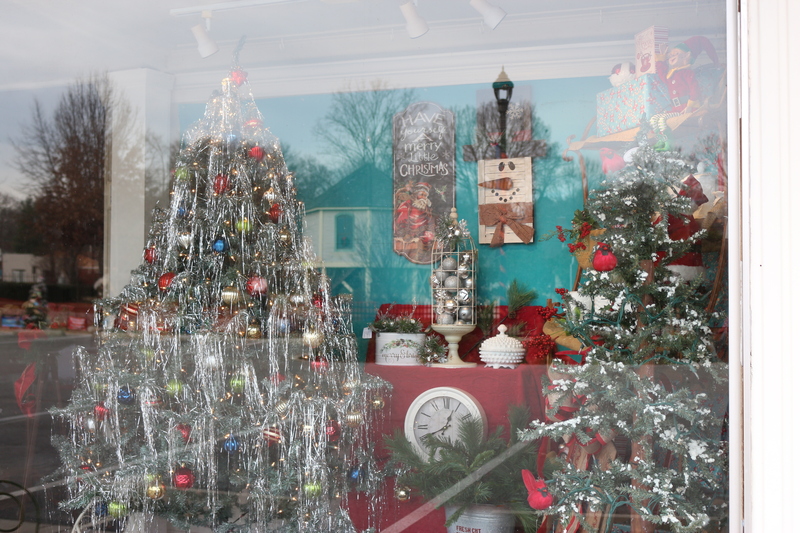 We can&apos;t forget the cute shops with their windows all decorated! 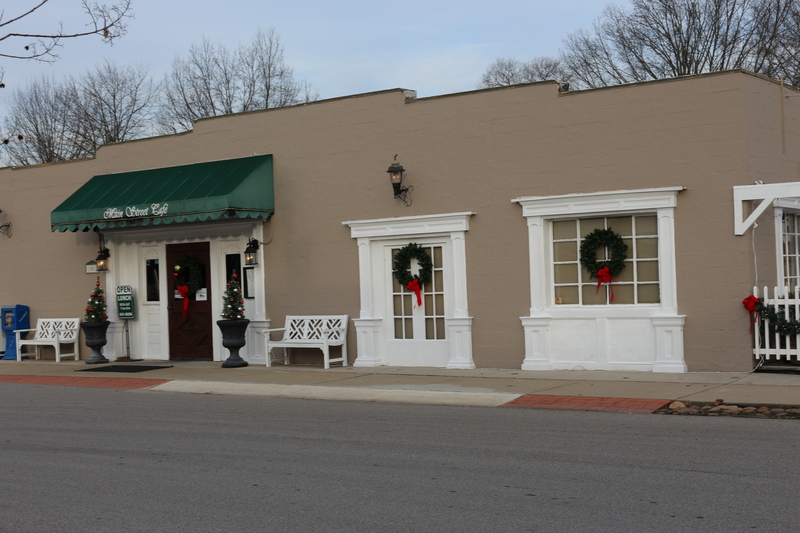 They have antiques, home decor, children&apos;s clothing, and some even have local artists&apos; work featured inside. 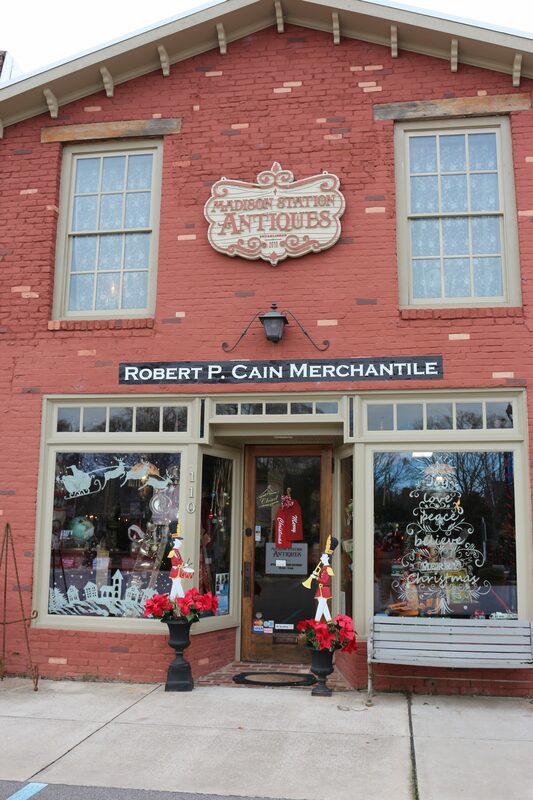 Make sure to stop in and browse some of the beautiful items that are perfect for last minute gifts! Enjoy the holidays and wish Madison a happy 150th birthday!